On October 7, 2016, the Museum of the City of New York will present Gay Gotham: Art and Underground Culture in New York. The exhibit will explore the counter-culture of the early 20th century queer community and the abundance of creativity that it brought. Gay Gotham is a tribute to New York’s most distinguished LGBT artists. 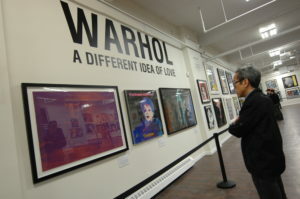 Visitors can expect to see works from such well-known figures as Andy Warhol, Mae West, Leonard Bernstein, and Gertrude Stein. Visitors will also have the opportunity to explore the brilliance of lesser-known artists as well, including feminist artist Harmony Hammond, painter and writer Richard Bruce Nugent, and transgender artist Greer Lankton. “Marginalized people — in the ’20s through the early ’90s, especially — formed these communities of like-minded individuals that sustained their lives personally and advanced their careers professionally. Out of that oppression and marginalization came a lot of creativity,” stated Donald Albrecht, the museum’s curator of architecture and design. Albrecht arranged for the original designs for West Side Story to be included in the exhibit since all of the creators were gay: composer Leonard Bernstein, lyricist Stephen Sondheim, libretto Arthur Laurents, choreographer Jerome Robbins, and costume designer Irene Sharaff. This exclusive panel of contributors will lead an in-depth discussion on the evolution of New York’s queer culture. What’s changed since the 1900s? What hasn’t changed since then? What impact did the works of Warhol, West, and Stein have on the American public? These topics will be explored with an interactive Q&A. Gay Gotham opens on October 7 and will run through February 26, 2017.